We are pleased to provide the following awards and subsidies for some of the artists in the exhibition. It is our aim to increase the support for each artist to cover their freight and to provide a minimum amount to each artist towards their costs of exhibiting. 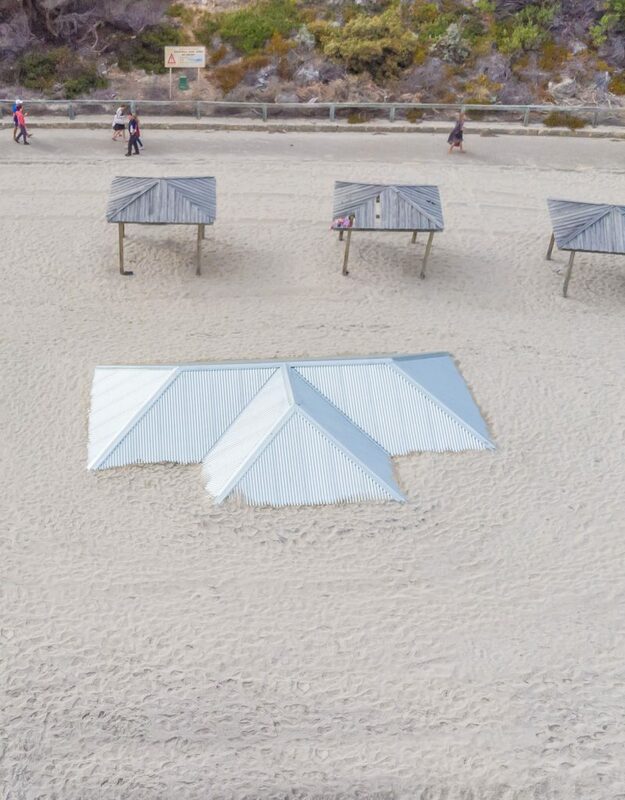 Harrie Fasher, ‘Transition’ (2016), Sculpture by the Sea, Cottesloe 2018. Photo David Dare Parker. 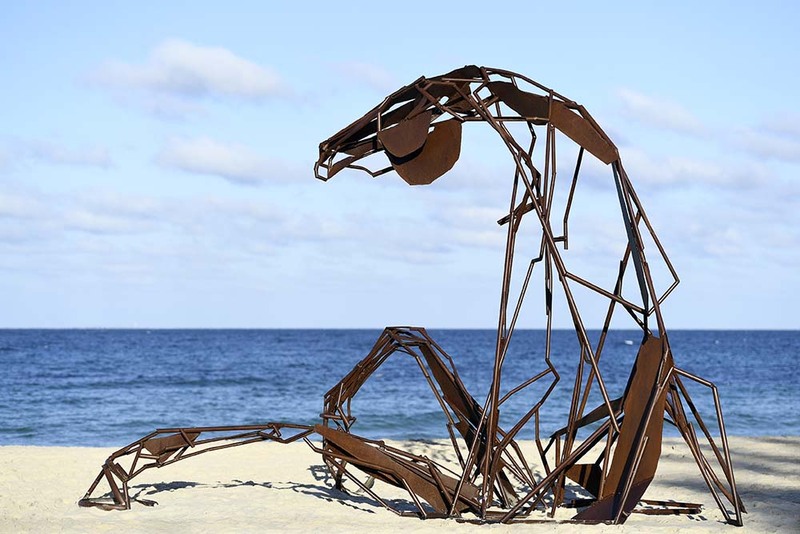 Four of the recent Sculpture by the Sea, Cottesloe exhibitions offered a major acquisitive award thanks to Rio Tinto and Roy Hill & Hancock Prospecting, with three of the sculptures from 2016-2018 gifted by Rio Tinto to the City of Busselton for permanent public placement. 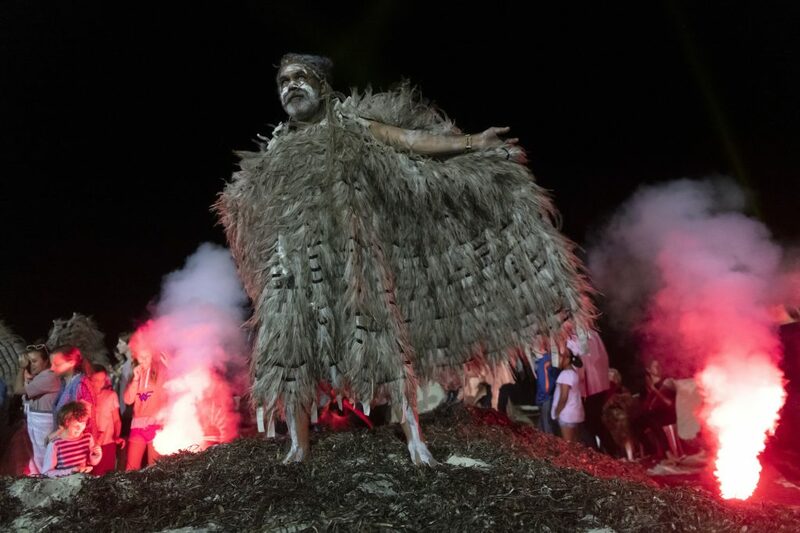 In 2019 the Western Australian Sculptor Scholarship of $10,000, donated by Gavin Bunning & Julienne Penny since 2013, was awarded to Rima Zabaneh & Berenice Rarig from WA for ‘Pods’. The scholarship for travel, study and the advancement of the artist’s career includes an invitation to exhibit in Sculpture by the Sea, Bondi. 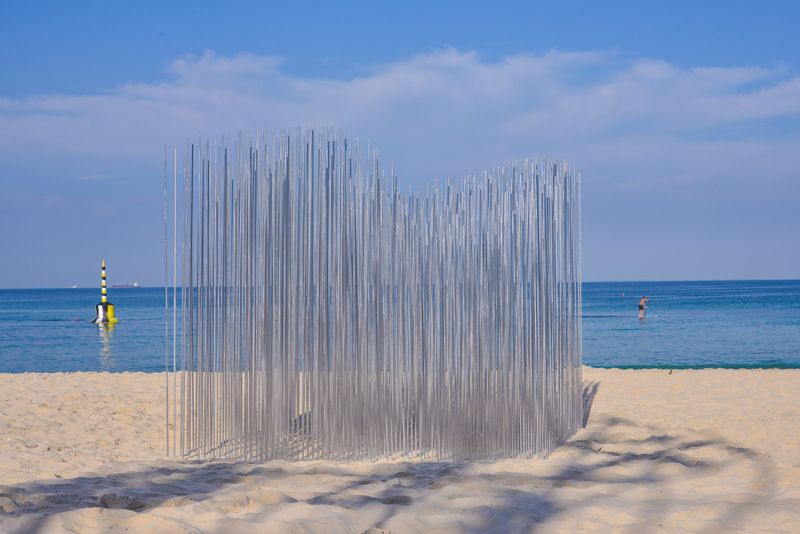 All Western Australian artists with works appearing in Sculpture by the Sea, Cottesloe are eligible. 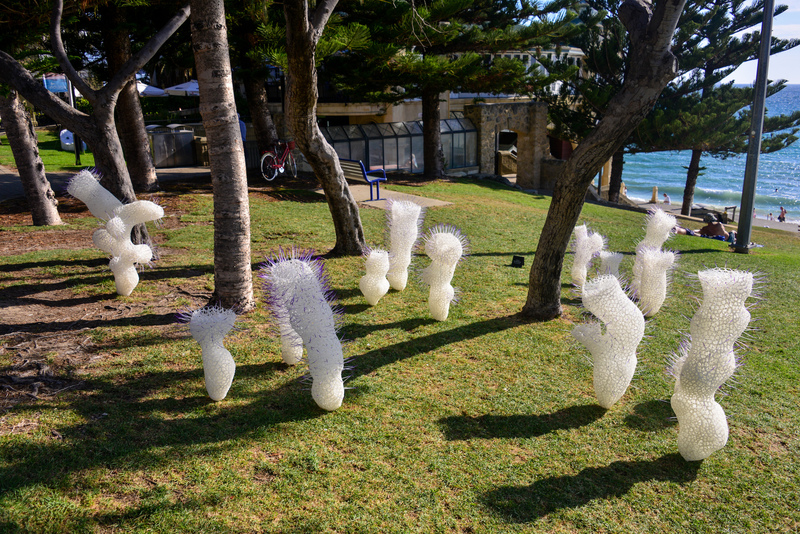 Rima Zabaneh & Berenice Rarig, ‘Pods’, Sculpture by the Sea, Cottesloe 2019. Photo Clyde Yee. 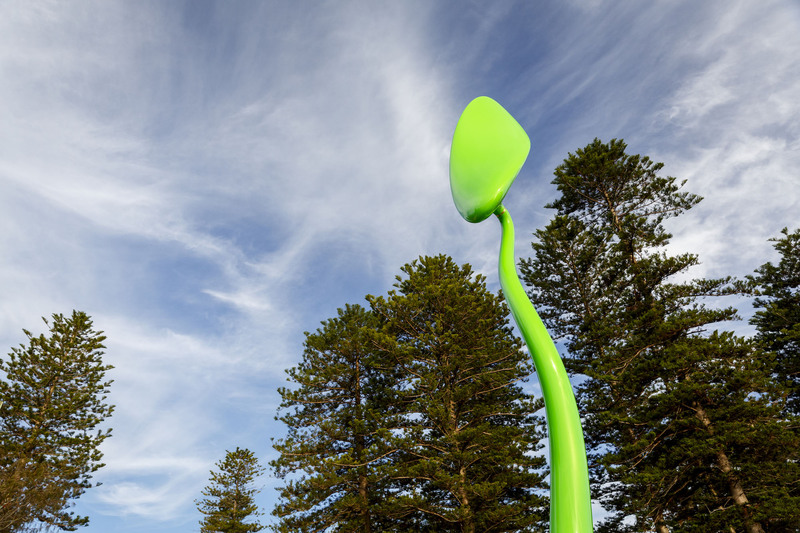 Miik Green, ‘Thicket 018’, Sculpture by the Sea, Cottesloe 2019. Photo Clyde Yee. The 2019 EY People’s Choice Prize of $5,000, as voted by visitors of the exhibition, was awarded to Phil Price for ‘Ipomoea’. 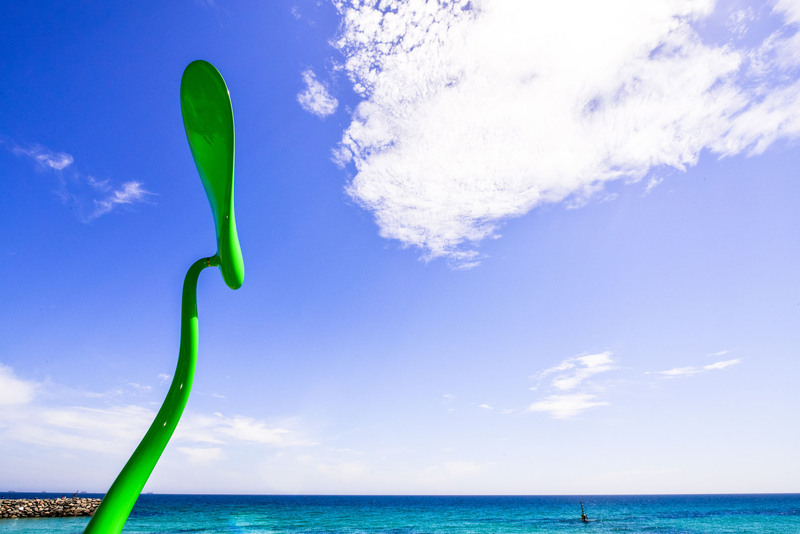 Phil Price, ‘Ipomoea’, Sculpture by the Sea, Cottesloe 2019. Photo Jessica Wyld. The 2019 Kids’ Choice Prize of $2,000, donated by Emrys, Jasper & Rebel Penfold-Russell OAM, as voted by the children visiting the exhibition, was awarded to Phil Price for ‘Ipomoea’. 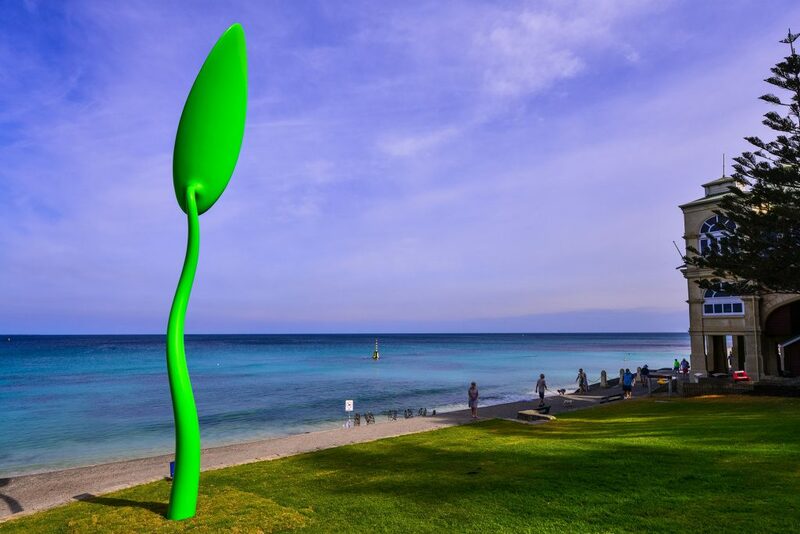 Phil Price, ‘Ipomoea’, Sculpture by the Sea, Cottesloe 2019. Photo Clyde Yee. Four of the recent Sculpture by the Sea, Cottesloe exhibitions offered a ‘Sculpture Inside’ award thanks to Rio Tinto and Roy Hill & Hancock Prospecting. Elin & Keino, ‘Seachange’, Sculpture by the Sea, Cottesloe 2019. Photo Richard Watson. 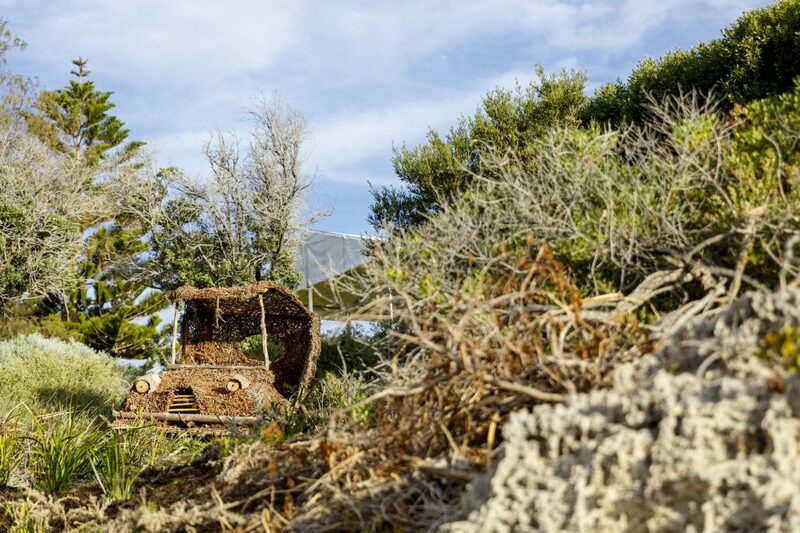 The Andrea Stretton Memorial Invitation to exhibit in Sculpture by the Sea, Bondi 2019 was awarded to Janine McAullay Bott (WA) for his work ‘Vintage I Bush Truck’. Janine McAullay Bott, ‘Vintage I Bush Truck’, Sculpture by the Sea, Cottesloe 2019. Photo Jessica Wyld. 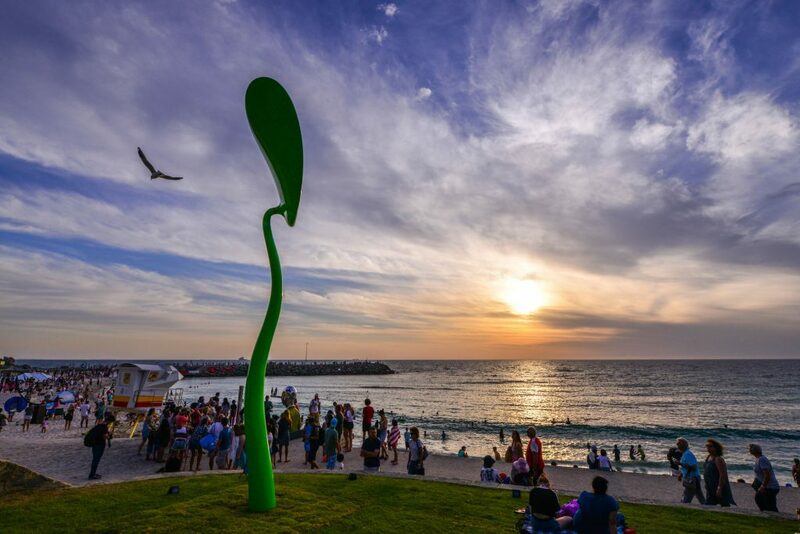 The Sculpture by the Sea Cottesloe 2019 Staff Pick was awarded to Phil Price for ‘Ipomoea’.